As a well-known firm, we are involved in offering a wide range of Filter Elements all across the nation. The filter we offer is completely designed to take care of the series of suspended impurities. 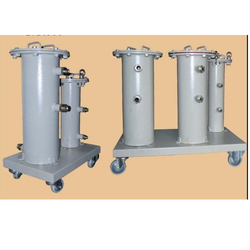 Made up of high quality material, our series is resistant towards abrasion and corrosion. Furthermore this filter is easy to use and requirements very low voltage consumption while working.